Retro-fit your lock to fit your keys and your keys alone! Call us now! Did you ever forget your keys? Did you ever lose your keys? We all have gone through this frustrating scenario of losing or forgetting our keys. Every day hundreds of people lose their keys and require the emergency lock service. So it is better to have a locksmith that you can trust to meet all your needs. Whether you are locked out of your business or house, you will need rekeying of your locks. Rekeying is adjusting of tumblers in your lock so you can access with the new key. This is the best and cheap way to keep yourself safe. Rekeying of a lock is a fast and easy way to have a new key for the door lock. There are some common instances in which you might need the emergency lock service. When you move to a new house, the previous owners might have access to your house. You don’t want them to come in your house, it threatens your security. The best way to keep them out is by rekeying your lock. Another scenario that requires the services of a locksmith is when you lose your keys. This has happened to all of us, at least once in a lifetime. You can call a locksmith who offers emergency car lockout services. The locksmith will pick your lock and adjust the pins for your new key. Your old key will not work on the lock and you can feel secure again. There are plenty of instances when you can be locked out of your house. Mostly people get locked out of the house while their children are inside. This is a situation in which only a locksmith who offers house lockout service can help you. When they rekey your lock, they make sure there is no threat to your security. Locks can easily be picked, if they are old. With the passage of time, new methods of unlocking are revealed. Locks are meant to keep you safe and if they pose a threat to your security you must change them. All the locksmiths offer the service of lock change. Chiko’s Locksmiths is one of the leading locksmiths who offers emergency rekeying services. We have a team of expert technicians that are experienced. 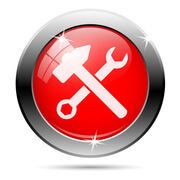 Our technicians are fully equipped with an extensive range of tools and supplies. 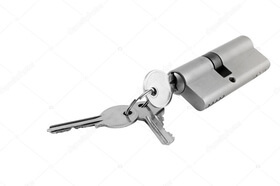 So, our experts can quickly rekey any type of the lock. We are available 24/7 including on weekends and holidays. We, at Chiko’s Locksmiths, make sure our customers are satisfied by providing exceptional services at best prices.